English and European Renaissance literature and Renaissance rhetoric. Wayne Rebhorn's scholarship explores the social and political dimensions of literature and rhetoric in the European Renaissance. Working in three fields—the literatures of the English Renaissance and of the European Renaissance as well as Renaissance rhetoric—he has written, translated, edited, or co-edited ten books in addition to over twenty-five scholarly articles on authors from Boccaccio through More, Rabelais, DuBellay, and Shakespeare down to Milton. He has won numerous awards and prizes, including the Modern Language Association's Marraro Prize for the best book on Italian literature in 1990 for his Foxes and Lions: Machiavelli's Confidence Men, and he has been invited to lecture at major universities throughout the United States as well as in France, Italy, and Germany. While he continues to work on Renaissance authors such as Machiavelli and Shakespeare and on Renaissance rhetoric, he recently published a new translation of Boccaccio's Decameron (Norton, 2013), and the Norton Critical Edition of Boccaccio's Decameron (2016). He has recently finished a new version of the Norton Critical Edition of Machiavelli's The Prince, and he is currently working on a new translation for Norton of Castiglione's The Book of the Courtier. Professor Rebhorn is the winner of the 2014 PEN Center USA's Literary Award for Translation for his 2013 translation of Boccaccio's Decameron. PEN Literary Award Judges' Statement: Translators who choose to wrestle with a classic of world literature – a work that has already established a foothold in the target language – face a double challenge. Like any translator, they aim to do justice to the original. At the same time, their work must pass the test of comparison with its precursors. Can they offer something truly new? Can they make us see a familiar work, and the world it conjures, with fresh eyes? 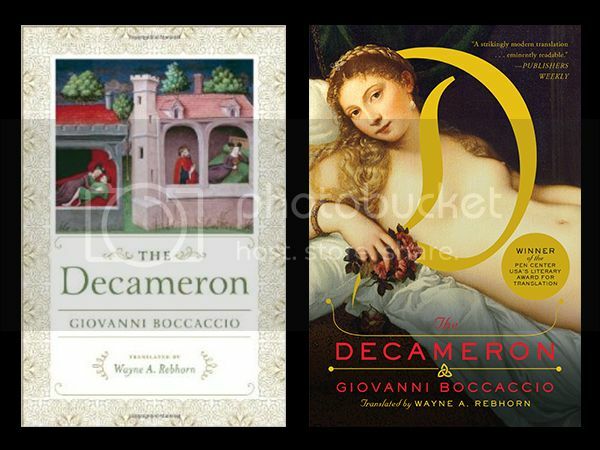 In retranslating Boccacchio's Decameron, Wayne A. Rebhorn meets these challenges with brio. His Boccaccio comes alive for the modern reader, narrating each rich, enthralling tale in a clear voice that echoes past language but is not trapped in it. Rebhorn does not feel the need to approximate Boccacchio's Latinate syntax in English, opting instead for the deceptively casual mode of a skilled storyteller and, like a gifted raconteur, he keeps us on our toes, moving effortlessly from high to low registers. Rebhorn has not simply revisited the Decameron – he has offered us a new vision of a seminal work of Western literature. This course has two main objectives. The first one is to introduce students to the systematic study of English literature from the Middle Ages to the early twentieth century. It will include lectures about the texts as well as the various periods covered, focusing on social and political as well as literary, artistic, and intellectual history. Their purpose is to help students understand the ways in which a text embodies and helps shape the chief concerns of its age. The second objective of the course is to help students improve their skills as readers and interpreters of literature. Hence, you will be required to perform close and careful readings of the works studied. The course will include a wide variety of different kinds of literature from lyric to epic, satire to tragedy, and most class periods will be devoted to detailed readings of those works. (1) Norton Anthology of English Literature: The Major Authors, Ninth Edition (2 vols. in paperback). (3) William Shakespeare, Twelfth Night, ed. M. Mahood (Penguin). Note: You must bring the text we are reading with you to class. Requirements & Grading: There will be two examinations, each covering one-half of the semester's work, as well as a number of reading quizzes. The two exams count 30% each. The quizzes, taken together, count 20%. 10% for participation in discussion section. The best exam or the quiz average will be raised by an additional 10% when final grades are computed. Students are expected to attend both lectures and the discussion sections. Attendance will be taken in both: if you miss more than three lecture classes or two discussion section classes, your grade average for the semester will be reduced by one-third of a letter grade for each additional class you miss. There are noexcused absences. Attendance also means attending the entiremeeting of the class; if you leave early without getting your TA's permission, you will be marked absent. Every two latenesses will equal an absence. Description: This course has three main objectives. The first is to explore the ways in which Shakespeare's plays develop particularly modern conceptions of self and society: a conception of human identity as something fashioned by the individual and a conception of the social order as historically contingent and man-made. The second objective of the course is to increase understanding of how Shakespeare constructs his plays, how he sets characters off against one another, how he uses verbal images and dramatic action to convey themes, and how he shapes scenes, groups of scenes, and whole plays. Third, the course will explore the issue of genre and will try to arrive at some definition of the different kinds of plays (comedies, histories, tragedies, and romances) that Shakespeare wrote. Texts: The Necessary Shakespeare, edited by David Bevington (Longman). NOTE: You MUST bring your book with you to class. Requirements & Grading: You are expected to attend class. There are noexcused absences except in the case of serious emergences for which documentation will be required. We will read some nine plays during the semester. There will be three exams on them, spaced at more or less equal intervals during the course. There will be quizzes on each play the first time we read it. Their purpose is to get you read the texts with real care, and they will be graded. Each exam will count 25% of the final grade; the quiz average will count 20%; and class participation will count 5%. Final grades will use the plus/minus system. Requirements & Grading: You are expected to attend class. There are no excused absences except in the case of serious emergences for which documentation will be required. We will read some nine plays during the semester. There will be three exams on them, spaced at more or less equal intervals during the course. There will be frequent homework assignments for you to turn in. They will be designed to get you read the texts with real care, and they will be graded. Students will be called on to read or paraphrase their responses to the various homework questions during class; everyone will do this at least once, possibly twice. Each exam will count 25% of the final grade; the homework average will count 15%; and class participation, including reading answers from homework sheets, will count 10%. Final grades will use the plus/minus system. (1) Norton Anthology of English Literature: The Major Authors, Nineth Edition (2 vols. in paperback). Students are expected to attend both lectures and the discussion sections. Attendance will be taken in both: if you miss more than three lecture classes or two discussion section classes, your grade average for the semester will be reduced by one-third of a letter grade for each additional class you miss. There are no excused absences. Attendance also means attending the entire meeting of the class; if you leave early without getting your TA's permission, you will be marked absent. Every two latenesses will equal an absence. Requirements & Grading: You are expected to attend class. There are no excused absences. There will be at least three writing assignments, spaced at intervals during the course. You will choose the plays you wish to write on and devise your own topics using the study questions I have supplied. Re-write will be permitted for the first two essays, but not for the third, and the grade you get on the re-write replaces the grade on the original essay. But do NOT rely on me to turn your essay into an A; if you don’t make serious improvements, there’s a chance your essay will not receive a higher grade. So, do the best job possible on the first try. And please do consult with me about your topic for your essay. There will be a quiz on each play the first day on which we discuss that play. Each essay will count 30% of the final grade; the quiz average will count another 10%. You can be awarded up to two additional points for class participation. Final grades will use the plus/minus system. This course aims to take students on a journey through Western literature from the Greeks up to the present. Along the way we will visit a wide variety of genres, or kinds, of literature, from epic, through tragedy and comedy, to novels, lyrics, and short stories. Our purpose will be to read a host of stunning works of art, and through them to gain some sense of the shape and depth of the Western literary tradition. In a sense we will be reading through what is usually referred to as the "canon," but we will be doing so in a way that emphasizes what might be called its anti-canonical character; that is, we will be examining great works of art not because they confirm our complacencies and our pieties, but because they encourage us to critique them. Our approach is that great literature is great not because it confirms some imagined set of eternal verities, but precisely because it makes us suspicious of such things. In short, great literature is great because it makes us think. The assumption of this course is that the students who take it are already good readers and writers, so that what we want to accomplish in our year together is to make you better at both. To become better readers means to become more active readers, talking to—and talking back to—the texts we will be reading. This "talking" will take two forms, one of which will involve presenting your reactions orally to me and your classmates. In addition, you will have two occasions each semester in which you will lead class discussion for at least a portion of a meeting. The "talking" will also take the form of writing essays about the readings, starting with slightly shorter papers in the first semester and writing longer and increasingly more substantial essays during the second one. In this way, you will achieve both of the goals of the course, the goals of learning how to be better readers of literary texts, and of becoming more literate and sophisticated speakers and writers as well. One additional feature of this course needs to be mentioned here: in addition to meeting with one or more of the actors who will be putting on Shakespeare’s Richard III, I plan to have us meet with various faculty members who are at UT and who have translated, edited, or written a number of the works we will be reading during the year. These will include: myself, as the translator of Boccaccio and Machiavelli; Professor Paul Woodruff (a former director of Plan II) who is the co-translator of Sophocles’ tragedy; Professor John Rumrich, who is the co-editor of Milton’s poem; and Professor Elizabeth McCracken, the author of Thunderstruck and Other Stories (which won the $20,000 Story Prize in 2014). Ideally, these professors will meet with us during our normal class times, but if they cannot, then we will find a replacement class time that fits everyone’s schedule. Finally, all of these professors will be happy to sign their books for you, so be sure to purchase new, not used, and paper, not electronic copies of them (new copies will have been ordered at the University Co-op). Machiavelli's The Prince, Montaigne's "Of Cannibals," Shakespeare's The Tempest, Milton's Paradise Lost, Molière's Tartuffe, Voltaire’s Candide, a sampling of lyric poems by Blake, Keats, and other British nineteenth-century poets, Conrad's Heart of Darkness, Woolf's Mrs. Dalloway, a sampling of short stories by post-World War II American writers such as Roth, O'Connor, Baldwin, Oates, and Erdrich, and selections from McCracken’s 2014 short story collection Thunderstruck and Other Stories. All four of your essays this semester should aim at being at least six pages long. There will be two oral presentations based on your written work, one earlier and one later in the semester, both of which should lead the class into a general discussion of the text being studied. Finally, groups of students will be assigned to present different stories from McCracken’s collection in collective oral reports in the final week of the semester. Professor Rebhorn works on Renaissance literature, rhetoric, and culture in general. He holds a doctorate from Yale University in Comparative Literature and has written books on Castiglione, Machiavelli, and Renaissance rhetoric and literature as well as numerous articles on such writers as Boccaccio, Erasmus, More, Rabelais, Shakespeare, Jonson, and Milton. He has won fellowships from the American Council of Learned Societies and the Guggenheim Foundation as well as the Howard R. Marraro Prize of the Modern Language Association for his book on Machiavelli and the PEN Center USA’s prize for literary translation for his translation of Boccaccio’s Decameron. In addition to Boccaccio's Decameron, he has translated Machiavelli's The Prince. Among his hobbies are: classical music, movies, cooking, traveling, and watching good TV. His passion is: teaching, and especially teaching E303. Fall semester: Homer's Odyssey, Aeschylus' Oresteia, Sophocles' Oedipus, Vergil's Aeneid, Dante's Inferno, Shakespeare's Richard III (to coincide with the visit by the Actors from the London Stage), and Boccaccio's Decameron. Spring semester: Machiavelli's The Prince, Montaigne's "Of Cannibals," Shakespeare's The Tempest, Milton's Paradise Lost, Molière's Tartuffe, Voltaire’s Candide, a sampling of lyric poems by Blake, Keats, and other British nineteenth-century poets, Conrad's Heart of Darkness, Woolf's Mrs. Dalloway, a sampling of short stories by post-World War II American writers such as Roth, O'Connor, Baldwin, Oates, and Erdrich, and selections from McCracken’s 2014 short story collection Thunderstruck and Other Stories. Fall semester: Two shorter papers (4 pages) during the first half of the course and two slightly longer ones (5 pages) in the second half. Two oral presentations based on your written work, one earlier and one later in the semester, both of which should lead the class into a general discussion of the text being studied. There will also be a two-page review of the performance of Richard III that you will be assigned to see. Spring semester: All four of your essays this semester should aim at being at least six pages long. There will be two oral presentations based on your written work, one earlier and one later in the semester, both of which should lead the class into a general discussion of the text being studied. Finally, groups of students will be assigned to present different stories from McCracken’s collection in collective oral reports in the final week of the semester. (1) Norton Anthology of English Literature: The Major Authors, Eighth Edition (2 vols. in paperback). Cultures can be seen as being constituted in and through a collection of discourses, some of which are privileged and all of which are multiform, complex, even self-contradictory. In the Renaissance, one of the most important discourses, one which everyone encountered in formal education, is that of rhetoric, and it consequently offers us insight into the social and political, philosophical and artistic, indeed the basic anthropological assumptions, principles, and values of people in the period. Perhaps rather than speak of the discourse of rhetoric, as though there were some single, unified model, it would be better to speak of fields of discourse or discourse-systems. For in the Renaissance the discourse of rhetoric could be either monarchical-absolutist or subversive-republican, a means for social advancement or social exclusion, deterministic or voluntaristic, gendered as male or as female, comely or indecorous and grotesque, depending on which texts, or parts of texts, one focuses on. In all cases, rhetoric is profoundly involved in questions of identity, the social order, power, subjection, and resistance. The first goal of this course, consequently, will be to analyze that discourse in light of the issues specified above by reading carefully through a number of important rhetorics produced in England and Europe during the Renaissance (beginning with a study of what is arguably their most important classical predecessor). The second concern of the course will be with Shakespeare and with the question of what it means to read his plays “rhetorically.” We will depart from traditional modes of rhetorical reading in two different ways. First, we will approach plays not as collections of rhetorical tropes and figures or as repetitions of oratorical structures, but rather as modelings of rhetorical interactions which actualize the prescriptions for such interactions found in rhetoric treatises. Second, we will relate those plays not to rhetoric conceived ahistorically, but to rhetoric as it was specifically defined in the Renaissance. We will thus approach the plays as repetitions of themes and procedures and issues from the contemporary discourse of rhetoric, repetitions which serve both to extend and clarify it while simultaneously subjecting it to qualifications and criticisms. Since this is a research seminar which will invite students to examine the relationships between rhetoric and literature, it will be divided into two phases. The first, slightly longer part of the course will be concerned with the discourse of rhetoric as it was conceived in the Renaissance and will focus on the following primary texts: Cicero’s De Oratore, the selections in my Renaissance Debates on Rhetoric, Thomas Wilson’s Arte of Rhetoric, Sir Philip Sidney’s An Apology for Poetry, and George Puttenham’s Art of English Poesy. In addition, we will also read secondary materials concerned with the history of rhetoric in the Renaissance and with the question of reading literary works rhetorically. Among the authors we will consider will be: Wilbur Howells, Walter Ong, Joel Altman, Patricia Parker, Marc Fumaroli, Debora Shuger, Brian Vickers, Victoria Kahn. And Jenny Mann. In particular, we will review secondary works that have attempted to read Shakespeare rhetorically. The second half of the course will then start with exemplary readings of three plays, a comedy, a history, and a tragedy. Among the candidates are: Love’s Labor’s Lost or The Taming of the Shrew, Richard III or Henry IV, Part 1, and Julius Caesar or Coriolanus. The final meetings of the semester will be devoted to students’ reports on the specific plays on which they will be writing their final essays. In the case of students whose primary field is rhetoric, a term paper devoted to a rhetoric text or texts would be an acceptable alternative. In this course each student will do the following: present two brief oral reports on two of the texts or sets of texts we will be covering in the first portion of the course; present an oral report on a secondary text concerned with Renaissance rhetoric or Renaissance rhetoric and Shakespeare to the class; and lead the discussion of what he or she has chosen as a topic for investigating in the final long paper. The oral reports and class participation will count for forty percent of the final grade in the course; the term paper will count for sixty percent. ?This course aims to take students on a journey through Western literature from the Greeks up to the present. Along the way we will visit a wide variety of genres, or kinds, of literature, from epic, through tragedy and comedy, to novels, lyrics, and short stories. Our purpose will be to read a host of stunning works of art, and through them to gain some sense of the shape and depth of the Western literary tradition. In a sense we will be reading through what is usually referred to as the "canon," but we will be doing so in a way that emphasizes what might be called its anti-canonical character; that is, we will be examining great works of art not because they confirm our complacencies and our pieties, but because they encourage us to critique them. Our approach is that great literature is great not because it confirms some imagined set of eternal verities, but precisely because it makes us suspicious of such things. In short, great literature is great because it makes us think. ?? The assumption of this course is that the students who take it are already good readers and writers, so that what we want to accomplish in our year together is to make you better at both. To become better readers means to become more active readers, talking to—and talking back to—the texts we will be reading. This "talking" will take two forms, one of which will involve presenting your reactions orally to me and your classmates. In addition, you will have two occasions each semester in which you will lead class discussion for at least a portion of a meeting. The "talking" will also take the form of writing essays about the readings, starting with slightly shorter papers in the first semester and writing longer and increasingly more substantial essays during the second one. In this way, you will achieve both of the goals of the course, the goals of learning how to be better readers of literary texts, and of becoming more literate and sophisticated speakers and writers as well. One additional feature of this course needs to be mentioned here: in addition to meeting with one or more of the actors who will be putting on Shakespeare’s Dream, I plan to have us meet with various faculty members who are at UT and who have translated, edited, or written a number of the works we will be reading during the year. These will include: myself, as the translator of Boccaccio and Machiavelli; Professor Paul Woodruff (a former director of Plan II) who is the co-translator of Sophocles’ tragedy; Professor John Rumrich, who is the co-editor of Milton’s poem; and Professor Elizabeth McCracken, the author of Thunderstruck and Other Stories (which won the $20,000 Story Prize in 2014). Ideally, these professors will meet with us during our normal class times, but if they cannot, then we will find a replacement class time that fits everyone’s schedule. Finally, all of these professors will be happy to sign their books for you, so be sure to purchase new, not used, and paper, not electronic copies of them (new copies will have been ordered at the University Co-op). Fall semester: Homer's Odyssey, Aeschylus' Oresteia, Sophocles' Oedipus, Vergil's Aeneid, Dante's Inferno, Shakespeare's A Midsummer Night’s Dream (to coincide with the visit by the Actors from the London Stage), and Boccaccio's Decameron. Spring semester: Machiavelli's The Prince, Montaigne's "Of Cannibals," Shakespeare's The Tempest, Milton's Paradise Lost, Molière's Tartuffe, Swift's Gulliver's Travels, a sampling of lyric poems by Blake, Keats, and other British nineteenth-century poets, Conrad's Heart of Darkness, Woolf's Mrs. Dalloway, a sampling of short stories by post-World War II American writers such as Roth, O'Connor, Baldwin, Oates, and Erdrich, and selections from McCracken’s 2014 short story collection Thunderstruck and Other Stories. Fall semester: Two shorter papers (4 pages) during the first half of the course and two slightly longer ones (5 pages) in the second half. Two oral presentations based on your written work, one earlier and one later in the semester, both of which should lead the class into a general discussion of the text being studied. There will also be a two-page review of the performance of Dream that you will be assigned to see. Spring semester: All four of your essay this semester should aim at being at least six pages long. There will be two oral presentations based on your written work, one earlier and one later in the semester, both of which should lead the class into a general discussion of the text being studied. Finally, groups of students will be assigned to present different stories from McCracken’s collection in collective oral reports in the final week of the semester. About the Professor: Professor Rebhorn works on Renaissance literature, rhetoric, and culture in general. He holds a doctorate from Yale University in Comparative Literature and has written books on Castiglione, Machiavelli, and Renaissance rhetoric and literature as well as numerous articles on such writers as Boccaccio, Erasmus, More, Rabelais, Shakespeare, Jonson, and Milton. 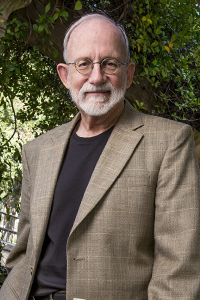 He has won fellowships from the American Council of Learned Societies and the Guggenheim Foundation as well as the Howard R. Marraro Prize of the Modern Language Association for his book on Machiavelli and the PEN Center USA’s prize for literary translation for his translation of Boccaccio’s Decameron. In addition to Boccaccio's Decameron, he has translated Machiavelli's The Prince. Among his hobbies are: classical music, movies, cooking, traveling, and watching good TV. His passion is: teaching, and especially teaching E603. Description: This course aims to introduce students to the civilization of the Renaissance in Europe from Petrarch and Boccaccio in mid-fourteenth century Italy to Molière in mid-seventeenth century France. Although our primary focus will be on the literature of the period, we will also consider politics, philosophy, and art, as well as social and intellectual history. Since we cannot hope to do justice to all these subjects or to a period as immense as the Renaissance, we shall focus on two of its central preoccupations, both of which are harbingers of the modern world: first, its notion of a flexible or protean self and of identity as something shaped and manipulated by the individual; and second, its sense of the historical contingency of the social order, of society as something man-made and hence transformable. Proceeding in chronological order, we will follow the first of these notions in autobiographical writings and in books which aimed to prescribe just how the self should be fashioned. At the same time, we will also examine the preoccupation of the Renaissance with society in the utopian literature of the period and in a variety of works concerned with the alienation of marginal groups and with social change. Actually, these two concerns were never really distinct from one another in the minds of Renaissance people, nor were they kept apart in the works we shall read. Finally, we shall consider the growth of rationalism and absolutism in the course of the period which ultimately led away from the Renaissance and into the Enlightenment. This course aims to help students improve their writing by having them write and re-write their essays, with abundant feedback from the professor at each stage. Students are expected to attend class. If you miss more than four classes, your grade average for the semester will be reduced by one-third of a letter grade for each additional class you miss (e.g., a B+ will become a B, a B- will become a C+). There are no excused absences. Attendance also means attending the entire meeting of the class; if you leave early without getting permission, you will be marked absent for the class. Every two latenesses will equal an absence. There will be brief, unannounced quizzes given at the start of class throughout the semester. Each quiz will be short answer in format and will cover the reading assigned for that day. One quiz grade may be dropped without penalty. If you are absent on a quiz day or miss a quiz because of lateness, your grade for that quiz will be a zero. There will be no make-up quizzes. All essays must be written in 12-point Times or Times Roman, double-spaced, with 1-inch margins on all sides; pages must be numbered. Footnotes must be numbered with Arabic numerals and placed at the bottom of the page. Put page references to texts (after the first reference) in a parenthesis within the body of the essay itself. All students will be asked to compose a list of at least 5 or 6 texts (ranked in order) they wish to write on, and the professor will attempt to assign them two texts from among their top choices. They may decide to make their first essay the longer one of the two, either by composing it as such from the start, or by expanding a shorter version of that essay innitially. Alternatively, students may chose to make their second essay their longer essay. In the first case, students will have approximately three weeks to turn that first essay into their longer essay by adding secondary materials they might read. The first draft of that longer essay will be due on the date when the class reads the text involved, and students will have five days after the essay is returned to them to complete any necessary revisions. 4. Oral reports. Students will present oral reports (about 5 minutes long) on both of their papers to the class, presentations that should ideally help to initiate class discussion. 5. Grading. The final grade will be determined by the short essay (25%), the longer essay (50%), the quizzes (15%) and class participation, which will include the students' oral presentation of their essays (10%). 6. Exams. There will be no exams. 7. Final Grades. Final grades will use the plus/minus system. Aug. 27. Introduction. Machiavelli's letter to Francesco Vettori. Sept. 1. Petrarch, "The Ascent of Mt. Ventoux" (packet). 3. Boccaccio, The Decameron, Preface; Day 1: Introduction, Stories 1-5, Conclusion. 8. The Decameron, Day 2: Stories 1, 2, 4, 5, 7, Conclusion. 10. The Decameron, Day 3: Introduction, Stories 1, 2, 10; Day 4: Introduction, Stories 1, 2, 5, 9. 15. The Decameron, Day 5: Stories 4, 8, 9; Day 6: Introduction, Stories 1, 2, 4, 5, 7, 10, Conclusion. 17. The Decameron, Day 7: Stories 1, 2, 4, 9; Day 8: Stories 3, 5, 6, 7, 9. 24. More, Utopia, Book 1. Oct. 1. Erasmus, The Praise of Folly. 6. The Praise of Folly. 8. Castiglione, The Book of the Courtier, Book 1. 42-50, and 65-73 of Book 3). 15. The Book of the Courtier, Book 4. 5. Montaigne, “Of Cannibals” (packet). 19. Quevedo, The Swindler, Book 1. 24. The Swindler, Book 2. 3. Tartuffe and Teaching Evaluations. Honor Code: The core values of The University of Texas at Austin are learning, discovery, freedom, leadership, individual opportunity, and responsibility. Each member of the university is expected to uphold these values through integrity, honesty, trust, fairness, and respect toward peers and community. Religious Holy Days: By UT Austin policy, you must notify me of your pending absence at least fourteen days prior to the date of observance of a reli­gious holy day. If you must miss a class, an examination, a work assignment, or a project in order to observe a religious holy day, I will give you an opportunity to complete the missed work within a reasonable time after the absence. This course focuses on the comic achievements of two of most important authors who wrote during the European Renaissance. In his Decameron Giovanni Boccaccio (1313-1375) invented the modern short story collection in the West and defined Italian prose for later writers, while through his poems and plays Shakespeare (1564-1616) offered models for everyone who came after him (in England and, eventually, all over Europe). In both cases, we will be focusing primarily on the comic works of these two writers, works that present us with a Renaissance that is quite different from what the very name of the period might suggest. Typically, the period is defined as the rebirth (“renaissance” in French) of antiquity, with the stress being placed on its imitation of canonical ancient texts and on the employment of classical models from what might be called the “high” periods of ancient Greece (5th and 6th centuries BCE) and ancient Rome (the age of Augustus). Instead, we will be looking at the Renaissance in terms of its employment and adaptation of the folk traditions of the Middle Ages, traditions which were in some ways quite anti-classical and which stressed the “low” genres of comedy, farce, and satire, as well as “low” characters such as tricksters, fools, and clowns. We will read some theoretical materials by literary critics, such as Mikhail Bakhtin and Peter Stallybrass and Allon White, at the start of the course, after which we will divide it into two halves. During the first half, we will read a generous selection from the one hundred stories in Boccaccio's Decameron. Almost all of these will be comic tales, some of them quite genuine masterpieces. The second half of the course will be focused on plays by Shakespeare, including one of the two he adapted (through intermediaries) from stories by Boccaccio, All's Well That Ends Well, as well as some of his greatest comic creations: Love's Labor's Lost, A Midsummer Night's Dream, Much Ado About Nothing, Twelfth Night, and Henry IV, Parts 1 and 2 (for the great comic character Falstaff). Requirements & Grading: Students will write a short essay (5-6 pages) on either Boccaccio or Shakespeare and a long term paper (15+ pages) on the other writer (either they will expand their short essay on Boccaccio into a term paper and write a second short essay on Shakespeare; or they will write a short essay on Boccaccio, then prepare a short essay on Shakespeare for presentation to the class, and finally turn that essay into their term paper). They will also be expected to make use of secondary sources when preparing their term papers. All students will also be expected to present their essays to the class orally on both occasions. In all cases, they will get oral feedback from other students in the class about their term papers as they are preparing them and oral as well as written feedback from the instructor. In addition, there will be unannounced reading quizzes throughout the semester. The short essay will count for twenty percent of the final grade; the long term paper, sixty percent; the quizzes, ten percent; and class participation, ten percent. Final grades for the semester will use pluses and minuses. Description: This course aims to take students on a journey through Western literature from the Greeks up to the present. Along the way we will visit a wide variety of genres, or kinds, of literature, from epic, through tragedy and comedy, to novels, lyrics, and short stories. Our purpose will be to read a host of stunning works of art, and through them to gain some sense of the shape and depth of the Western literary tradition. In a sense we will be reading through what is usually referred to as the "canon," but we will be doing so in a way that emphasizes what might be called its anti-canonical character; that is, we will be examining great works of art not because they confirm our complacencies and our pieties, but because they encourage us to critique them. Our approach is that great literature is great not because it confirms some imagined set of eternal verities, but precisely because it makes us suspicious of such things. Great literature, in short, is great because it makes us think. The assumption of this course is that the students who take it are already good readers and writers, so that what we want to accomplish in the course of our year together is to make you better at both. To become better readers means to become more active readers, talking to—and talking back to—the texts we will be reading. This "talking" will take two forms, one of which will involve presenting reactions orally to the other members of the seminar. In other words, you will have several occasions each semester in which you will lead class discussion for at least a portion of a meeting. The "talking" will also take the form of writing essays about the readings, starting with slightly shorter papers at the start of the first semester and proceeding toward longer and increasingly more substantial essays during the course of the year. In this way, you will achieve both of the goals of the course, the goals of learning how to be better readers of literary texts, and of becoming more literate and sophisticated speakers and writers as well. Fall semester: Homer's Odyssey, Aeschylus' Oresteia, Sophocles' Oedipus, Vergil's Aeneid, Dante's Inferno, Shakespeare's Much Ado About Nothing (to coincide with the visit by the Actors from the London Stage), and Boccaccio's Decameron. Spring semester: Machiavelli's The Prince, Montaigne's "Of Cannibals," Shakespeare's The Tempest, Molière's Tartuffe, Milton's Paradise Lost, Swift's Gulliver's Travels, a sampling of lyric poems by Blake and Keats, Conrad's Heart of Darkness, Woolf's Mrs. Dalloway, and a sampling of short stories by post-World War II American writers such as Roth, O'Connor, Baldwin, Oates, and Erdrich. Fall semester: Two shorter papers (4 pages) during the first half of the course and two longer essays (5-6 pages) in the second half. Two oral presentations based on written work, one earlier and one later in the semester, both of which should lead the class into a general discussion of the text being studied. Spring semester: Two essays (5 pages) during the first half of the semester; two longer essays (7-8 pages) during the second. Two oral presentations based on written work, one earlier and one later in the semester, both of which should lead the class into a general discussion of the text being studied. About the Professor: Professor Rebhorn works on Renaissance literature, rhetoric, and culture in general. He holds a doctorate from Yale University in Comparative Literature and has written books on Castiglione, Machiavelli, and Renaissance rhetoric and literature as well as numerous articles on such writers as Boccaccio, Erasmus, More, Rabelais, Shakespeare, Jonson, and Milton. He has won fellowships from the American Council of Learned Societies and the Guggenheim Foundation as well as the Howard R. Marraro Prize of the Modern Language Association for his book on Machiavelli. He has translated Boccaccio's Decameron and Machiavelli's The Prince—and the class will be using both of these translations. Among his hobbies are: classical music, movies, cooking, traveling, and watching good TV. Requirements & Grading: You are expected to attend class. There are no excused absences. There will be three examinations, each covering one-third of the work in the course. There will be a quiz on each play the first day on which we discuss that play. Each examination will count 30% of the final grade; the quiz average will count another 10%. You can be awarded up to two points for class participation. There will also be a short (two-page) essay on the AFTLS performance of Othello for which you will receive up to two extra-credit points if it is satisfactory. Final grades will use the plus/minus system. (2) Woolf, Mrs. Dalloway (Harcourt). Requirements & Grading: There will be two examinations, each covering one-half of the semester's work, as well as six quizzes. The two exams count 30% each?. The six quizzes, taken together, count 20%. 10% for participation in discussion section. The best exam or the quiz average will be raised by an additional 10% when final grades are computed. Students are expected to attend both lectures and the discussion sections. Attendance will be taken in both: if you miss more than three lecture class or two discussion section classes, your grade average for the semester will be reduced by one-third of a letter grade for each additional class you miss. There are no excused absences. Attendance also means attending the entire meeting of the class; if you leave early without getting the TA's permission, you will be marked absent. Every two latenesses will equal an absence. This course aims to introduce students to a particular view of the Renaissance that runs counter to the usual definition of the period that is inscribed in its name. We will be looking at the Renaissance in terms of its employment and adaptation of the folk traditions of the Middle Ages, traditions which were in some ways quite anti-classical and which stressed 'low' genres such as comedy, farce, and satire, as well as 'low' characters such as tricksters, fools, and clowns. We will read a couple of theoretical essays near the start of the course and will then read a range of comic writing that will include both narrative materials (short stories and novels) and dramas (farces and various kinds of comedy) written between about 1350 and the 1660s. These works will include: Boccaccio’s The Decameron; Rabelais’ Gargantua and Pantagruel; several plays by Shakespeare; a couple of picaresque novels, such as the anonymous Lazarillo de Tormes; Jonson’s Volpone and The Alchemist; and Moliere’s Tartuffe, Dom Juan, and The Misanthrope. Students will write four essays of around 5 pages. Each one will also be expected to present their essays to the class orally on two occasions. And there will be unannounced reading quizzes throughout the semester. The two best essays will count for fifty percent of the final grade; the two less successful, forty percent; and the quizzes, ten percent. Class participation will be factored in to the final grade as well. Final grade will use pluses and minuses. (1) Norton Anthology of English Literature: The Major Authors, Eighth Edition (2 vols.). (2) Shakespeare, Henry IV, Part 1 (Penguin). (3) Woolf, Mrs. Dalloway (Harcourt). (4) Chaucer, The Canterbury Tales, ed. A. Kent Hieatt and Constance Hieatt (Bantam). Note: this text is optional and should be purchased if you think you cannot read the Chaucer selections in Middle English in the Norton Anthology. Requirements & Grading: There will be two examinations, each covering one-half of the semester's work, as well as four explication quizzes and two short-answer quizzes. The two exams count 30% each?. The four explication quizzes, taken together, count 20%. The two short-answer quizzes, taken together, count 15%. 5% for participation in discussion section. The Decameron is one of the foundational works of Italian literature and played a major role in shaping the Italian language and especially the language of prose fiction. The primary goal of this course will be to gain a thorough knowledge of this rich, complex, and very substantial work. Although most people who know something about it think of it as a collection of ribald tales—the Italian adjective boccaccesco means as much—such a response is far too limiting and reductive. To be sure, The Decameron is filled with witty, licentious, humorous tales, but it is actually a compendium of different genres, including romances, tragedies, comedies, short tales that turn on witticisms, stories of practical jokes, and exemplary fictions concerned with high-minded behavior. It is also an extremely self-conscious, carefully constructed work which positions itself as an earthly response to Dante's Divina commedia and which foregrounds questions concerning the nature of the artist and the roles that language, art, and story-telling play in the life of society. In short, this may be a "one-book course," but the one book in question is really many books and will fully repay all the effort put into reading it. Students will be asked to produce one or more oral reports on contextual materials, to lead the discussion of Boccaccio's text on several occasions, and to produce a long scholarly essay at the end of the semester. They will work out the subjects of those essays with me in advance and will present an initial version of their ideas in oral reports given to the class during the last three weeks of the semester so that they can use the feedback they get at that time when they work on the final drafts of their essays. The books required for the class will be Branca's two-volume paperback Italian edition of Il Decameron (Einaudi) and The Norton Critical Edition of Boccaccio's Decameron by Mark Musa and Peter Bondanella. In addition, my own translation (with introduction) of the work will be available as a set of files on Black Board that students will be able to download and print out. Those students without Italian will read my English version, although I would encourage those who are working directly with the Italian text to read, or at least to consult, my English version as well. (4) Packet: available at Speedway Copy in Dobie Mall. (5) Chaucer, The Canterbury Tales, ed. A. Kent Hieatt and Constance Hieatt (Bantam). Note: this text is optional and should be purchased if you think you cannot read the Chaucer selections in Middle English in the Norton Anthology. Requirements & Grading: There will be two examinations, each covering one-half of the semester's work as well as eight quizzes. Two exams count 30% each?. Eight quizzes, taken together, count 30%. Best performance on the two exams or the quizzes (taken together) gets an extra 5%. 5% for participation in discussion section. Requirements & Grading: Students will take two examinations, each covering about half the work for the semester. There will be quizzes on all the plays, each quiz being given on the day we start a new play. The exams will each count 30% of the final grade; the quizzes, averaged together, will count another 30%. Your best performance on the exams or the quizzes (averaged together) will get an additional 5%. 5% for class participation. Course Description: Literature in History -- This course has two main objectives. The first one is to introduce students to the systematic study of English literature from the Middle Ages to the early twentieth century. It will include lectures about the texts as well as the various periods covered, focusing on social and political as well as literary, artistic, and intellectual history. Their purpose is to help students understand the ways in which a text embodies and helps shape the chief concerns of its age. The second objective of the course is to help students improve their skills as readers and interpreters of literature. Hence, you will be required to perform close and careful readings of the works studied. The course will include a wide variety of different kinds of literature from lyric to epic, satire to tragedy, and most class periods will be devoted to detailed readings of those works. Grading: There will be two examinations, each covering one-half of the semester's work. Two exams, 30% each?. Six quizzes during the semester; taken together, they total 30%. Participation in the discussion sections, 10%. Students are expected to attend both lectures and the discussion sections. Attendance will be taken in the latter, and if you miss more than two classes, your grade average for the semester will be reduced by one-third of a letter grade for each additional class you miss. There are no excused absences. Attendance also means attending the entire meeting of the class; if you leave early without getting the TA's permission, you will be marked absent. Every two latenesses will equal an absence. Cultures can be seen as being constituted in and through a collection of discourses, some of which are privileged and all of which are multiform, complex, and self-contradictory. In the Renaissance, one of the most important discourses, one which every writer encountered in formal education, was that of rhetoric, so that studying it offers us insight into the social and political, philosophical and artistic, indeed the basic anthropological assumptions, principles, and values of people in the period. Perhaps rather than speak of the discourse of rhetoric, as though there were some single, unified model, it would be better to speak of fields of discourse or discourse-systems. For in the Renaissance the discourse of rhetoric could be either monarchical-absolutist or subversive-republican, a means for social advancement or social exclusion, deterministic or voluntaristic, gendered as male or as female, comely or indecorous and grotesque, depending on which texts, or parts of texts, one focuses on. In all cases, rhetoric is profoundly involved in questions of identity, the social order, power, subjection, and resistance. The first goal of this course, consequently, will be to analyze that discourse in light of the issues specified above by reading carefully through a number of important rhetorics produced in England during the Renaissance (with occasional forays into classical and contemporary continental materials). The second concern of the course will be with literature and with the question of what it means to read texts “rhetorically.” We will depart from traditional modes of rhetorical reading in two different ways. First, we will approach texts not as collections of rhetorical tropes and figures or as repetitions of oratorical structures, but rather as modelings of rhetorical interactions which actualize the prescriptions for such interactions found in rhetoric treatises. Second, we will relate those works not to rhetoric conceived ahistorically, but to rhetoric as it was specifically defined in the Renaissance. We will thus approach literary texts as repetitions of themes and procedures and issues from the contemporary discourse of rhetoric, repetitions which serve both to extend and clarify it while simultaneously subjecting it to qualifications and criticisms. Since this is a research seminar which will invite students to examine the relationships between rhetoric and literature, it will be divided into two phases. The first part of the course will be concerned with the discourse of rhetoric as it was conceived generally in the Renaissance and more specifically in England, and it will focus on the following texts: Cicero’s De Oratore, Thomas Wilson’s Arte of Rhetoric, George Puttenham’s Art of English Poesie, and the selections contained in my anthology Renaissance Debates on Rhetoric. In addition, we will also read secondary materials concerned with the history of rhetoric in the Renaissance and with the question of reading literary works rhetorically. Among the authors we will consider will be: Wilbur Howells, Walter Ong, Joel Altman, Patricia Parker, Marc Fumaroli, Debora Shuger, Brian Vickers, and Victoria Kahn. The second half of the course will start with exemplary readings of literary texts, including a play, a set of lyric poems, and a novel. The final meetings of the semester will be devoted to student reports on specific works of their choosing. The entire class will be expected to read the works about which students are reporting. In this course each student will do the following: deliver an oral report on an outside reading to the class; lead the discussion of one text or sets of texts we read together; and lead the discussion of the particular work chosen for investigation and write a long final paper on that work which will be due at the end of the semester. This course aims to introduce students to the civilization of the Renaissance in Europe from Petrarch and Boccaccio in mid-fourteenth century Italy to Molière in mid-seventeenth century France. Although our primary focus will be on the literature of the period, we will also consider politics, philosophy, and art, as well as social and intellectual history. Since we cannot hope to do justice to all these subjects or to a period as immense as the Renaissance, we shall focus on two of its central preoccupations, both of which are harbingers of the modern world: first, its notion of a flexible or protean self and of identity as something shaped and manipulated by the individual; and second, its sense of the historical contingency of the social order, of society as something man-made and hence transformable. Proceeding in chronological order, we will follow the first of these notions in autobiographical writings and in books which aimed to prescribe just how the self should be fashioned. At the same time, we will also examine the preoccupation of the Renaissance with society in the utopian literature of the period and in a variety of works concerned with the alienation of marginal groups and with social change. Actually, these two concerns were never really distinct from one another in the minds of Renaissance people, nor were they kept apart in the works we shall read. Finally, we shall consider the growth of rationalism and absolutism in the course of the period which ultimately led away from the Renaissance and into the Enlightenment. Among the works we will read will be: generous selections from Boccaccio’s Decameron; Castiglione’s Book of the Courtier; More’s Utopia; Erasmus's Praise of Folly; various works by Machiavelli, including The Prince; the first picaresque novel, Lazarillo de Tormes; portions of Rabelais’ Gargantua and Pantagruel; some of Montaigne’s Essays; Marlowe’s Doctor Faustus; Shakespeare’s The Tempest; Quevedo’s The Swindler;; and Molière’s Tartuffe. Students will write four essays during the course of the semester, determining the topics for those essays on their own. On two occasions during the semester, students will present their papers orally to the class and then begin class discussion. There will also be frequent reading quizzes during the course of the semester. The final grade will be determined by the essays (80%), the quizzes (10%), and class participation, including the students' presentation of their essays (10%). In order to take this course you must have completed 27 credit hours of course work and have taken E306 or its equivalent. If you have any questions about your eligibility for this course, see the Head of Lower Division English or the Undergraduate Advisor. These must be taken at the times specified in the syllabus; there will be no make-ups (except in the rarest of circumstances involving such things as family deaths; documentation will be required). An unexcused, missed exam will be graded as a zero. Each exam will cover approximately half of the work for the semester and will consist of a set of short answer questions like those on the quizzes as well as essay questions on the readings and the lectures. There will be six brief quizzes given at the start of discussion section meetings throughout the semester (note the dates on the syllabus). Each quiz will be short answer in format and will cover the reading as well as the material presented in both lectures and discussion sections in the weeks since the previous quiz or exam (or, in the case of the first quiz, since the start of the semester). One quiz grade may be dropped without penalty. If you are absent on a quiz day or miss a quiz because of lateness, your grade for that quiz will be a zero. There will be no make-up quizzes. Each examination will count thirty percent of the final grade, the quiz average will count twenty percent, and class participation in the discussion sections will count ten percent. Your best performance on an exam or on the quizzes will count an additional ten percent. Final grades will use the plus/minus system. We will be generally looking for three things in the essays you write for the exams. First, you need to demonstrate that you are capable of analyzing the texts you have read as literature. This means that you can show how individual elements in them, such as imagery, style, tone, form, and genre, work to produce meaning. When Conrad, for instance, in Heart of Darkness, refers to European explorers as "pilgrims," you should identify this as irony and relate it to Conrad's general condemnation of colonialism. The more fully you discuss such individual elements, and the more elements you discuss, the more likely your essay will receive a grade in the A or B range. Essays that fail to explain how such elements create meaning or that fail to identify very many of them will receive grades of C or lower. Second, you may be asked to explain how elements in a text relate to its historical and cultural context (such as showing how Conrad's irony expresses Modernism's disillusionment with western culture generally), and the more fully and accurately you do this, the more successful your essay will be. Finally, the better written and argued your essay is—the more effective it is in communicating your ideas in a coherent and compelling manner—the more likely it will be to receive a higher grade.